This week I spent a day at the wonderful National Science Learning Centre in York learning about the BBC micro:bit on a Computing at School roadshow. The micro:bit is a very simple computer that is being sent out to schools this year for every year 7 pupil to enable them to access the world of programming and digital making. Schools will be at the heart of making the roll out a success, by showing students the possibilities of their devices through Computing and also Design Technology lessons, and then letting them make their own digital creations based on what they have learnt. Schools will have to make the decision at what point they give the micro:bits over to the young people, and whether they want to keep them in school for a series of lessons first – this seemed to be the option most attendees were looking at. There is no fixed date for the devices to arrive in schools, but they are hoping to have them in teachers’ hands before Christmas, and students after that. If you’ve not yet registered your school to receive a set, go to https://www.bbcmicrobitschoolregistrationform.co.uk/english.html to sign up – don’t leave it too long! 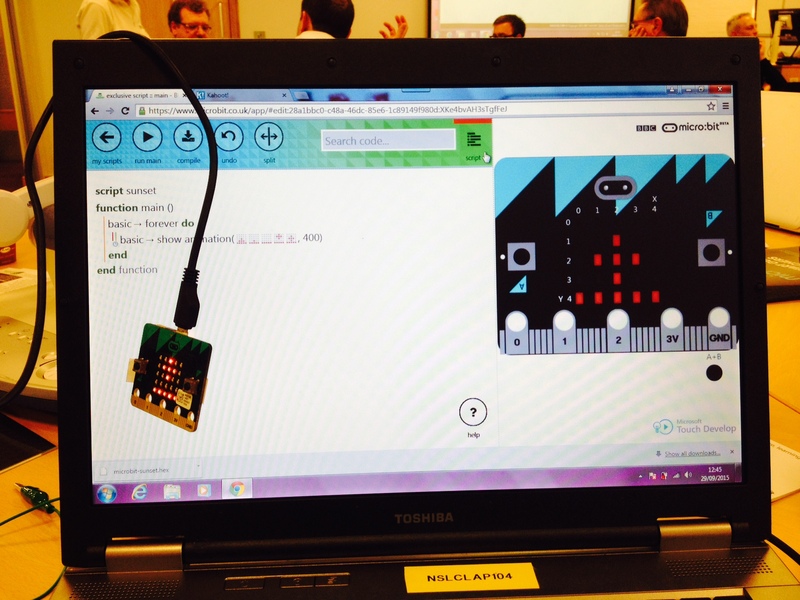 The micro:bit comes with a 5 x 5 LED display, 3 x pins for inputs and outputs (i.e. sensors, motors), capacitive touch, an accelerometer, compass, 2 x buttons, external battery pack and bluetooth antenna. It connects via USB to a computer. There are different ways to program the micro:bit – the simplest is using the Microsoft Block Editor – similar to Scratch you drag and drop code blocks. The Touch Develop software uses text-based code, but you don’t need to type every word out, as you choose from a selection. There is also the possibility to use Code Kingdom, and a Python module is coming soon. It was nice to see that even the least able could create complex animations, without having to do complex programming. Equally, the most able have plenty to stretch them here. Using the website, teachers will be able to assign students to classes, and view all of their creations, plus the option to share the url (web address) of each project so others can play and remix them. 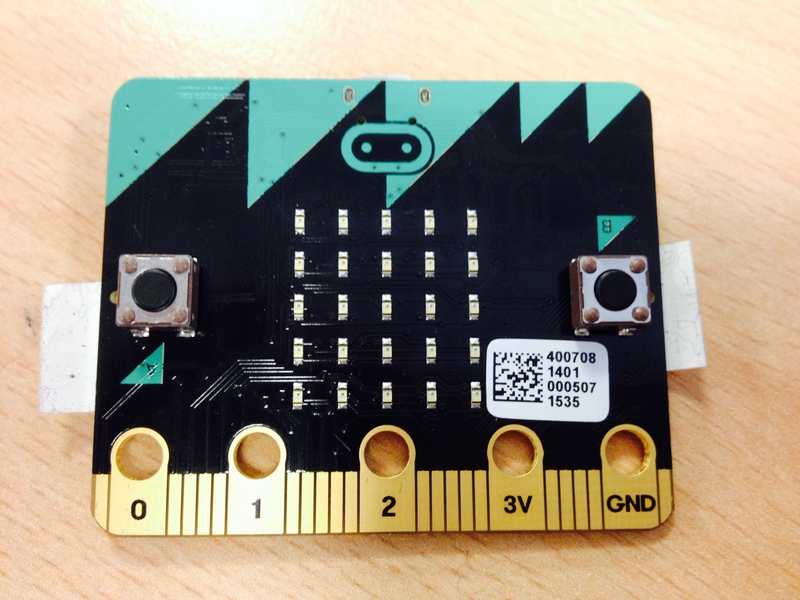 The Sheffield eLearning Team will be holding training sessions for teachers in the next few months, to help you get started with the micro:bit in your classes. In the meantime, take a look at the website: www.microbit.co.uk – even without a device you can write programs and run them on the simulator.